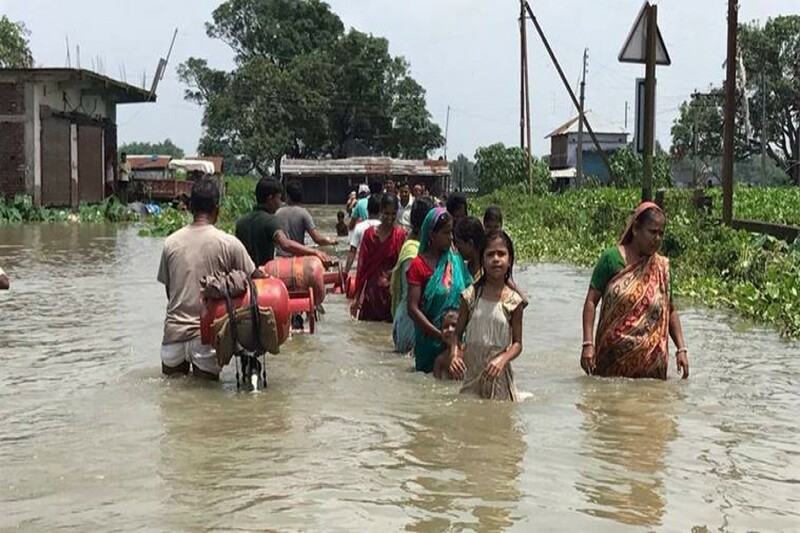 NEW DELHI, July 11 (AFP): At least 15 people died in floods and landslides in India on Wednesday, officials said, pushing the death toll from the annual monsoon rains pounding the country closer to 200. Landslides swept at least nine people to their deaths in Manipur in India's remote and hilly northeast, said the state's chief minister Nongthombam Biren. "I am deeply saddened to know that nine precious life lost due to landslide at three places in Tamenglong headquarter," he wrote on Twitter. Eight of the victims were children, including several from one family, local media reported. Separately, six people were killed in floods and landslides in Uttarakhand, a Himalayan state in India's north, officials there said Wednesday. Four members of one family were swept away by a landslide and two others drowned in a river swollen by heavy rain, state emergency department official Piyush Kumar told AFP. The arrival of the monsoon, which lasts roughly from June to September, is heralded by millions of Indian farmers but the relentless rain wreaks death and destruction every year. Already 34 people in Assam, another hilly state neighbouring Manipur, have been killed since May. Nearly 2,000 others have been forced from their homes by floodwaters. In Maharashtra in western India, 62 people have died since June due to flooding and landslides, said the state's revenue minister Chandrakant Patil. Another close to 60 deaths have been recorded in the country's far south in Kerala since the monsoon hit the Indian mainland, officials said. At least six others were reported dead in western Gujarat state this week following days of heavy showers.